Our selection of self catering holiday homes in Norfolk includes a great range of holiday cottages on the North Norfolk Coast and inland - and because you book with the owners direct, they offer great value! 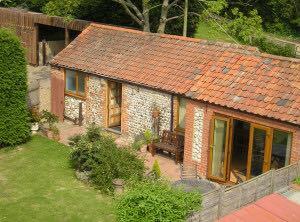 So whether you are looking for a cosy Norfolk cottage for two, or large group accommodation for a special gathering, we're sure to have something to suit. The holiday rentals on our list are all of an excellent standard and we provide detailed descriptions of each to help you make the right choice when booking your holiday. 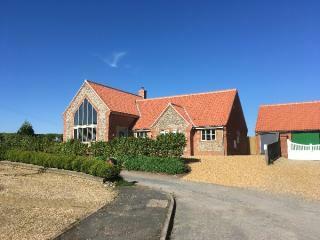 In order to make your selection even easier, we have arranged our list of Norfolk holiday cottages in size order. As a result, you will find cosier and more compact cottages for couples and individuals at the top of the page and more spacious properties for groups towards the end of the list. 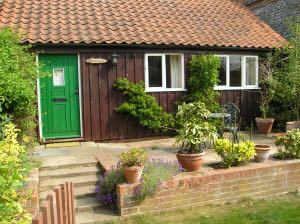 Where available, Norfolk cottages late availability offers are indicated on the cottage listing. 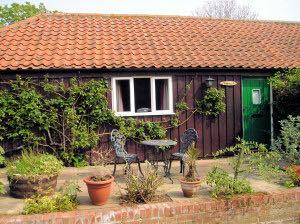 Welcome to our selection of independent Norfolk cottages. 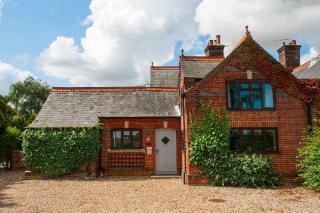 Stylish Norfolk country cottage for two near Sandringham, King's Lynn. Immaculate self-catering accommodation. Wonderful hideaway den for a quiet holiday or short break. SLEEPS 2. £350 - £465 / week. 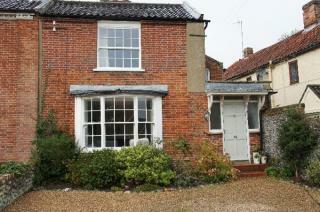 Renovated Victorian cottage in Award-Winning country town, sleeps 4. £235 - £460 / week. Adult only superb lovingly renovated and fully refurbished Grade II brick and flint cottage - perfect luxury holiday retreat with large walled garden,parking sleeps 5 wi fi Sky See reviews on website. £630 - £1250 / week. 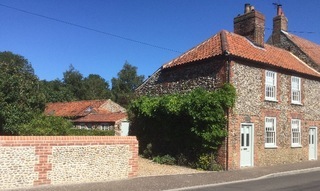 Traditional and cosy Norfolk holiday cottage, close to the beach and right in the heart of Sheringham on the North Norfolk Coast. Sleeps 6. £385 - £575 / week. 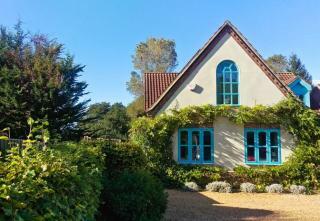 Charming, completely renovated and beautifully furnished cottage. Close to sandy beach and centre of delightful village. Sleeps 6/7. Free WiFi available for guests. £325 - £725 / week. Beautifully converted former Victorian schoolhouse set in third of an acre of gardens in pretty North Norfolk village, sleeps 8/10. £650 - £990 / week. 4 bedrooms | 2 bathrooms | Sleeps 10 people. £1800 - £3800 / week. 7 bedrooms | 3 bathrooms | Sleeps 16 people.